This is a 10″ / 32cm steel from Wusthof and it is a HONING steel only meaning it does not sharpen. I know we talk a lot about the look of Wusthof products, but look at it. They have managed to make a metal rod look stylish. When you hang it up in your kitchen with the attached hanging loop you know it’s going to look great! Made of very strong high carbon steel the rod on the 9″ Wusthof sharpening steel is magnetic so it will grip any loose metal shavings as you hone your knife. The handle is a comfortable 5″ in length to allow you to grip it safely and securely. Your hand won’t slip on this handle. A good rule of thumb when choosing the length of a steel is to make sure that the length of it is longer than your longest knife. This steel is available in lengths 9″, 10″ and 12″. 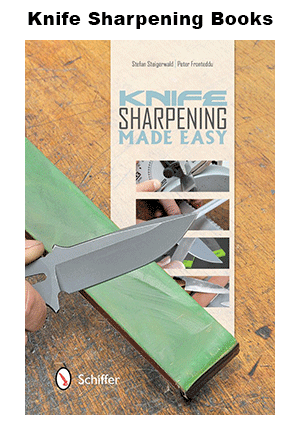 Not suitable for use with serrated or hollow edge knives. Use with straight edge knives only. Hold the steel in your left hand, preferably with the tip pointing down and resting on a stable surface. Hold the knife in your right hand at a 20 degree angle to the steel. Draw the knife along the steel making sure to alternate sides. Never run the same side of the blade along the steel more than once in succession. Made of very strong high carbon steel the rod on the 9" Wusthof sharpening steel is magnetic so it will grip any loose metal shavings as you hone your knife. The handle is a comfortable 5" in length to allow you to grip it safely and securely. Your hand won't slip on this handle.